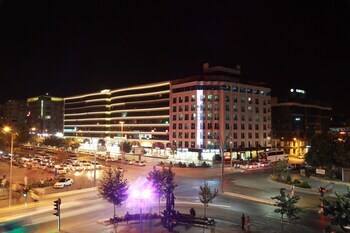 Located in Batman, Hotel Bozoogullari is within a 15-minute walk of World Center Alisveris Merkezi and Bahar Cultural Center. Featured amenities include dry cleaning/laundry services, a 24-hour front desk, and luggage storage. Free self parking is available onsite. When you stay at this villa in Kas, you'll be 10 minutes by car from Kalkan Bazaar. Free self parking is available onsite.